Attar is an ancient Persian word which means essence or sweet smell. 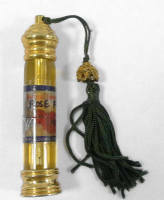 This describes what many people consider to be the finest alcohol free perfume oils in the world. A genuine well made attar will consist of a highly concentrated aromatic oil, usually non irritating to most skin types, that presents a scent unlike any traditional perfumery product. Attars are made so well, that a tiny drop can provide a long lasting enjoyment for many hours. 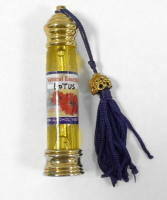 Atatrs are made from flowers, essential oils and perfumes. Attars are usually blended with carrier oils such as Jojoba.